Ankara, June 03, 2010: Pakistani President Mr. Asif Ali Zardari Tuesday evening had a telephonic conversation with his Turkish counterpart Mr. Abdullah Gül. Mr. Zardari expressed deep condolences over the tragic incident and the loss of precious lives on board Turkish flagged ship that was assaulted by Israeli commandos. The President said Pakistan strongly condemns the use of brazen force by Israel against a humanitarian mission and the killing of members of the humanitarian mission was a brutal and inhuman act which constituted flagrant violation of international law and norms. The President said that Pakistan stands by Turkey in its courageous and principled stance on this tragic incident and sheer aggression. He said that Pakistan is deeply concerned at the Israeli blockade of Gaza in violation of international humanitarian law and we will continue extending unequivocal support to the legitimate cause of Palestinians. The President said that Pakistan appreciates the efforts undertaken by Turkey including the meeting of UN Security Council and the adoption of the statement by the Council. The President said that Pakistan has proposed to the Organization of Islamic Conference to hold an urgent meeting in order to discuss and agree upon a unified OIC response to the attack. 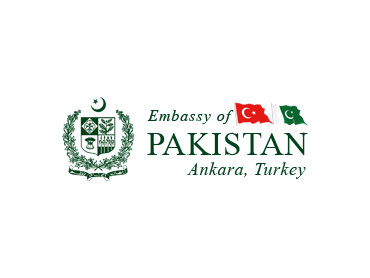 The Turkish President thanked the President for Pakistan’s unequivocal support to Turkey and the humanitarian missions for the Palestinians and said that the Turkish Government expects the international community to take practical steps to restrain Israeli aggression against innocent Palestinians and the humanitarian missions.